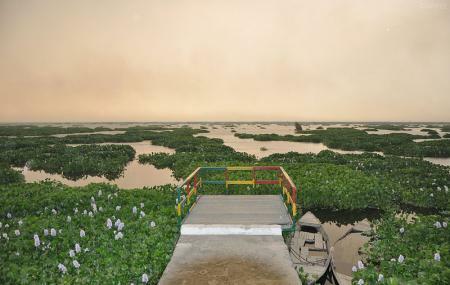 Harike Wetland is also referred to as Hari-ke-Pattan and is northern India’s largest wetland. The Harike Lake is in the deeper part of the wetland and both of it was formed by building the headworks in 1953 across River Sutlej. The wetland’s rich biodiversity plays a crucial role in conserving the hydrological balance at the catchment along with its huge concentration of the waterfowls as well as an extensive number of globally threatened species. Harike Wetland because of its vast variety of fauna has been declared as a Bird sanctuary and upon visiting, you would be able to observe them and appreciate the rich diversity. How popular is Harike Wetland? People normally club together Herbalife and Kohinoor Palace And Eat Point while planning their visit to Harike Wetland.